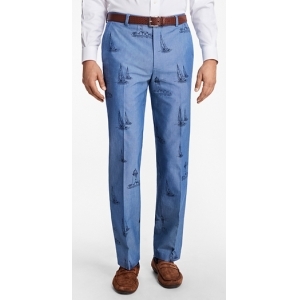 100% cotton chambray with a lighthouse and sailboat print. Oxford pocketing and genuine corozo buttons. Machine wash according to care instructions for best results. Imported.The Milano fit is our trimmest, with a flat front and sits straight through the hip and thigh.